"Reviewers note that this filter significantly reduces their allergy symptoms and the amount of dust around the house." "This filter gets top marks from reviewers, and it’s marketed as fitting all standard furnace brands." "Specially designed to keep allergens out of the air." "According to reviewers, these furnace filters are a must-have if you have multiple pets." "Will rid your air of particles as small as 1 micron." "Reviewers agree that these filters are effective at removing all types of smoke." "Reviewers say these filters are unbeatable for the price." "Reviewers say these are the perfect filters for mobile homes, and they are good quality at a reasonable price." One of the hands-down best furnace filters you can buy is the Honeywell Elite Allergen Pleated Air Filter. This highly-rated filter has the highest FPR possible and comes in a wide range of sizes, fitting most all furnaces. This furnace filter has an FPR rating of 10 (or a MERV of 13), meaning it can capture particles as small as .3 microns, and it even has an electrostatic charge that helps attract microscopic particles. As such, it can remove dust and lint, pollen, pet dander, mold spores, bacteria, microscopic allergens, virus carriers and odor, and most smoke and smog particles from the air in your home. The filter has a moisture-resistant frame, and it can last up to 90 days. 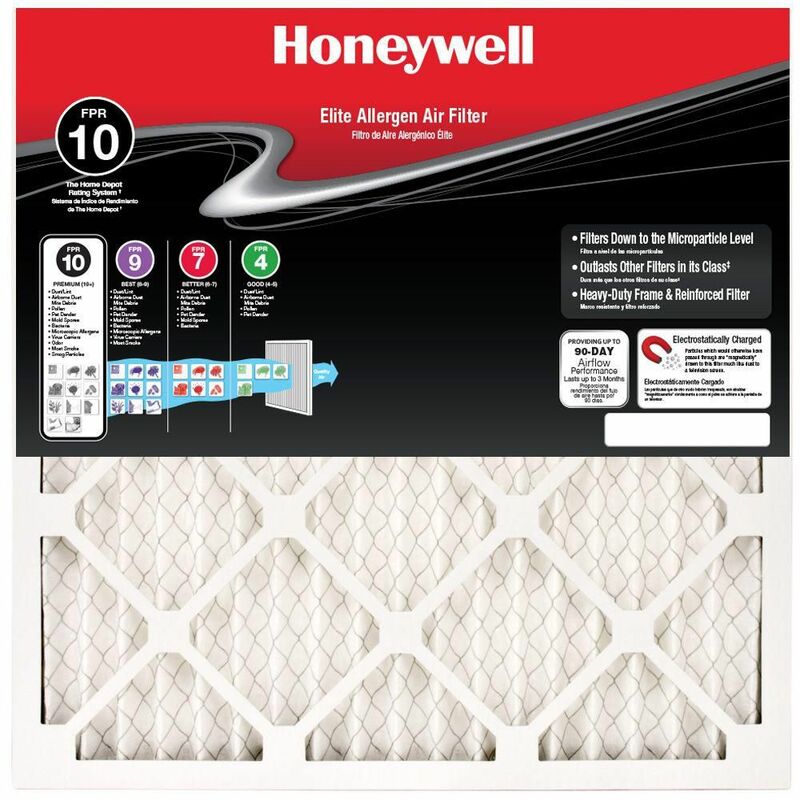 Reviewers say that if you switch from cheap filters to the Honeywell Elite Allergen Filters, you can actually tell the difference in how well it performs. Many note that this filter significantly reduces their allergy symptoms, as well as the amount of dust around the house. High-end air filters can get pretty expensive, costing up to $20 each. If you’re on a budget, you might prefer a less expensive option, such as the Rheem Basic Household Pleated Air Filter. This filter gets top marks from reviewers, and it’s marketed as fitting all standard furnace brands. The Rheem filter has an FPR of 4 (or a MERV rating of 8), meaning it can remove pollen, pet dander, nuisance dust, and dust mite debris from the air, helping to minimize allergy symptoms and keep dust out of your home. The filter can be used for up to 90 days, and it has a cardboard frame. Despite its low price, reviewers say this Rheem filter does a good job, filtering dust and other particles out of the air. Plus, people agree that this is a budget-friendly option if you have to change your furnace filter regularly. Are you constantly sniffling and sneezing during allergy season? A high-quality air filter will help to keep allergens from circulating throughout your home, giving you relief from your worst symptoms. Allergy suffers may like the Filtrete Micro Allergen Defense HVAC Air Filter, which is specially designed to keep allergens out of the air. This filter has an MERV rating of 11, and it has an electrostatic charge to help attract and capture fine particles. As such, it’s effective for removing household dust, lint, dust mite debris, mold spores, pollen, pet dander and smoke from the air. These filters can be used for up to three months, and there are a variety of sizes to choose from. Reviewers say the Filtrete Micro Allergen Defense HVAC Air Filter works great, providing relief for seasonal and pet allergies. However, several do note that if you have pets or a lot of dust in your home, you will need to change this filter more frequently, as it can put strain on your heating/cooling system if it gets too dirty. It often feels like a never-ending battle when you’re trying to keep your house clean with multiple pets. Make your jobs a little easier by investing in a furnace filter that can capture pet dander, such as the FilterBuy Pleated AC Furnace Air Filter. This filter has ​a MERV rating of 8, meaning it can effectively remove dust, debris, lint, pollen, and pet dander from the air. There are numerous sizes available to fit most any furnace, and it can last up to three months—though, you may need to change it more frequently if it gets clogged with pet hair and dander. According to reviewers, these furnace filters are a must-have if you share your home with multiple pets. One happy user with two dogs and a cat says the FilterBuy Air Filters greatly reduced the amount of pet dander and hair in her home and helped to alleviate her allergy symptoms, as well. Mold spores can be detrimental to your family’s health, so many homeowners choose air filters that can capture these particles and remove them from the air. The Honeywell Superior Allergen Pleated Air Filter is a great option if you’re looking for a highly-rated filter to keep your home clean and safe. This product has a FPR of 9 (comparable to MERV 11), and it will rid your air of particles as small as 1 micron, including dust and lint, airborne dust mite debris, pollen, pet dander, mold spores, bacteria, microscopic allergens, virus carriers, and most smoke. It comes in a wide range of sizes and needs to be changed at least every 90 days. The Honeywell Superior Allergen Pleated Air Filter gets the stamp of approval from reviewers, who say it noticeably reduces dust, allergens, pet hair and more. 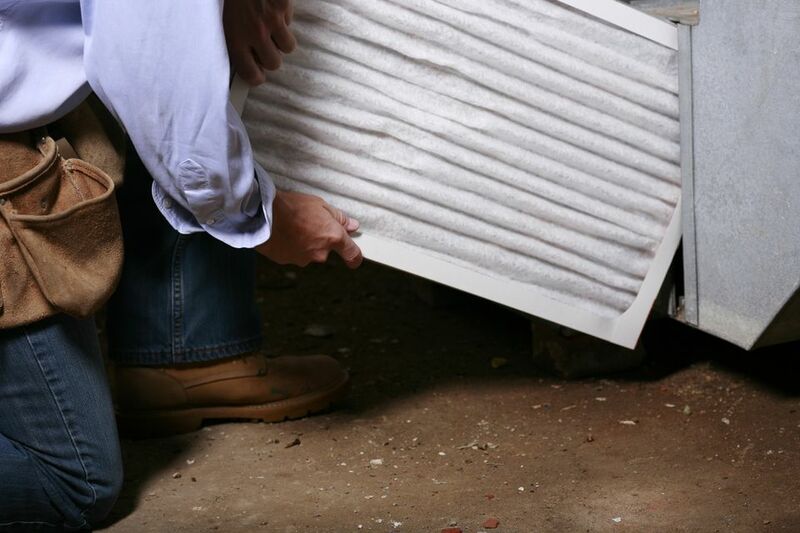 You can rest easy knowing this filter is keeping harmful particles out of your air. The smell of tobacco smoke is hard to get out of furniture and clothing, which is why many homeowners who smoke choose a high-quality air filter to help remove smoke particles before they settle in. One of the best furnace filters for cigarette smoke is the Nordic Pure Pleated AC Furnace Air Filter, which boasts a high MERV rating and rave reviews. Reviewers agree that these filters, which should be changed every 30 to 90 days, are effective at removing all types of smoke, from cooking, cigarettes and more, and many also say the product can improve allergy symptoms and reduce dust accumulation. For more than 50 years, furnace filters were made from fiberglass, and some people prefer to stick with these types of filters. One top-rated option in this category is the Flanders PrecisionAire Nested Fiberglass Filters, which are incredibly affordable. These filters come in a few standard sizes, and have an MERV rating of 4. The filtering medium is continuous filament spun glass, and the frames are made from chipboard. They offer low airflow resistance, and you should plan to change them at least every 30 days. Reviewers say these filters are unbeatable for the price. People note that the fiberglass filters remove pollen and pet dander from their homes, improving air quality. It can be tricky to find furnace filters for your mobile home, but the Miller Poly Furnace Door Filter may be just what you need. The filters measure 19” x 54” and come in packs of four for convenience. Reviewers say these are the perfect filters for mobile homes, and they are good quality at a reasonable price. However, some do note that the filters were a bit thinner than expected.